LISTEN UP PHILIP has been woefully miscategorised as a comedy by the programmers of the London Film Festival - an opinion echoed by the director in an emailed statement read aloud at the start of the screening. At the time I had thought this to be a self-deprecating joke but an hour with not a single laugh out loud moment or even a wry inward smile I started to get the point. Rather, the prevailing mood of the film is one of melancholy and frustration and finally, sadly, boredom. But first, let’s step back a little. Now I realise that hating a character isn’t the same thing as hating a movie. And it’s not the movie’s fault that it has been miscategorised. But I was looking for it to succeed on its own terms - maybe in the way that THE SQUID AND THE WHALE did - a darkly comic but ultimately melancholic tale about a highly unlikeable and dysfunctional family. But Elisabeth Moss aside, there was nothing compelling about LISTEN UP PHILIP. Instead just the same snide comments - the lack of personal growth - and behind the lens the same sense of having seen all this before, and done better. Director Alex Ross Perry flits between channelling Wes Anderson and Woody Allen. We get the cute book covers photographed lined up on a table in close up and the knowing over-articulate, rushed voiceover narration that’s pure Alec Baldwin in THE ROYAL TENENBAUMS. We also get the incidental jazz score, fondness for verbose literary types in tweed jackets and attempts at relationship insight from Woody Allen. The tragedy is that given the excellent cast and often perceptive insights, that the movie doesn’t add up to more, or certainly something more unique. LISTEN UP PHILIP has a running time of 108 minutes. 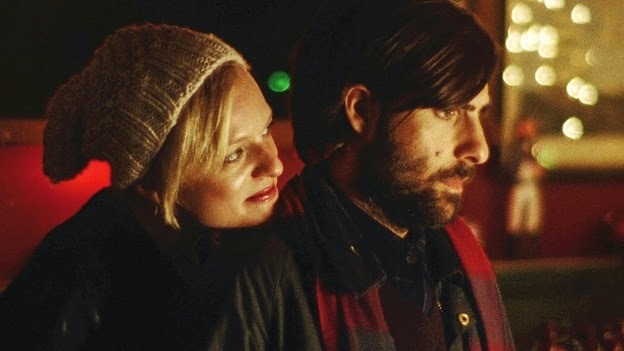 The movie played Locarno where Alex Ross Perry won the Special Jury Prize. It also played Sundance and London 2014. It will be released in the USA on October 17th.